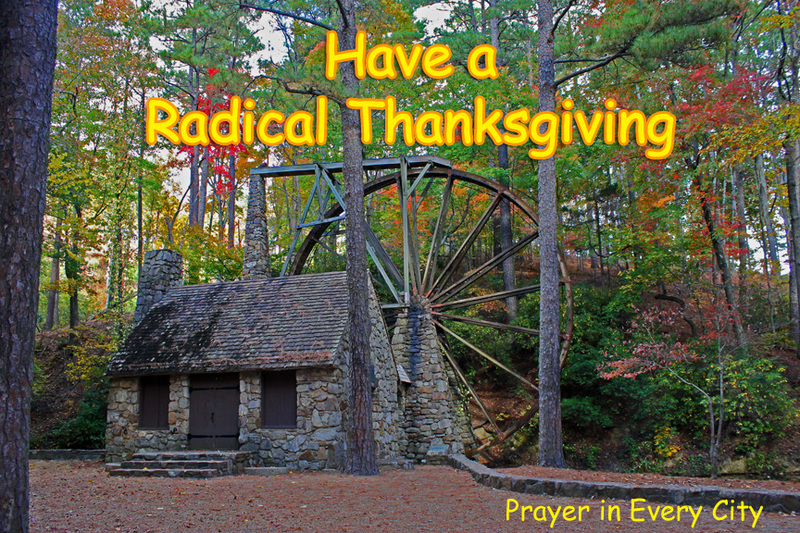 I challenge you to have a Radical Thanksgiving. Read the scripture below to see how devoted the disciples were to the study of God’s word, breaking of bread and prayer. As you spend time breaking bread with your family over Thanksgiving, why not add Bible study and prayer to this time of fellowship? Perhaps we would see the Lord adding to the church daily, if we would replicate the same devotion as the disciples. “And they continued stedfastly in the apostles’ doctrine and fellowship, and in breaking of bread, and in prayers. 47 Praising God, and having favour with all the people. And the Lord added to the church daily such as should be saved” Acts 2:42-47 (KJV). I hope you have a Radical Thanksgiving! *Platt, David. Radical. Multnomah Books. 2010.